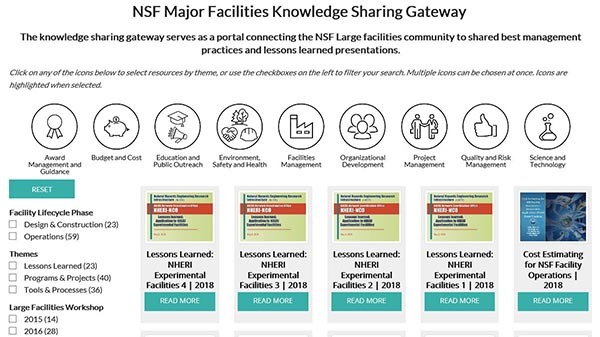 The NSF's Office Head and supporting staff (the Large Facilities Office, or "LFO") are the NSF's primary resource for all policy or process issues related to the development, implementation, and oversight of MREFC projects, and are NSF-wide resource on project management. The Large Facilities Office Head has the institutional authority and resources to effectively develop mandatory policies, which are approved by Senior Management, for all phases of large facility construction and retirement. The Large Facilities Office Head is consulted on all policy issues relating to large facility development. The Large Facilities Office Head provides expert assistance on non-scientific and non-technical aspects of project planning, budgeting, implementation, and management to further strengthen the oversight capabilities of NSF. The Large Facilities Office Head also facilitates the use of best management practices by fostering coordination and collaboration throughout NSF to share application of lessons learned from prior projects.